Japanese designer Takeshi Sawada, has designed a collection of quirky farm animal inspired stools for design brand EO – Elements Optimal. 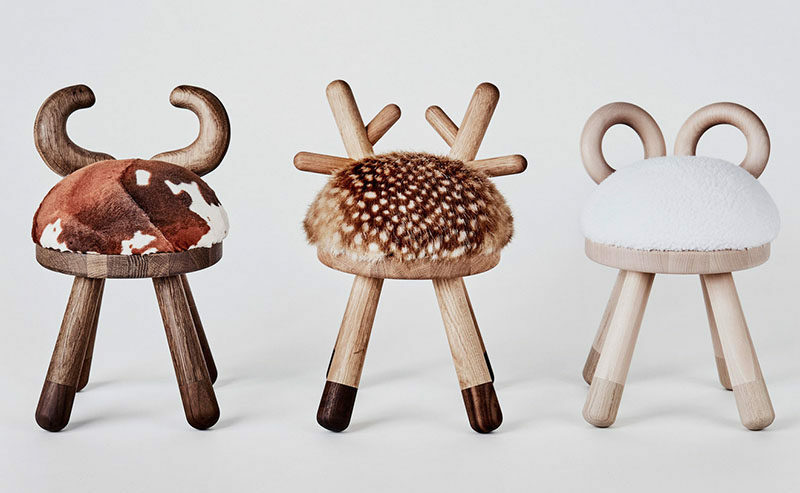 The collection is made up of three stools, Bambi, Sheep and Cow, with the design of the back of the stools and the faux fur seat easily telling you which animal it takes after. Each of designs are have a seat height of 33cm (just over 1 foot) and have a solid European Oak or an American Walnut base and back.